What’s in a name? 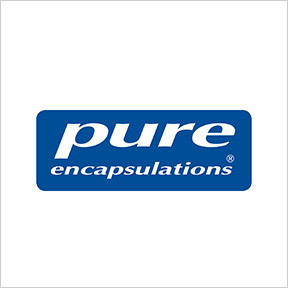 At Pure Encapsulations®, the name means just that. Pure Encapsulations® manufactures hypoallergenic, researched-based supplements designed to support optimal health and function. To create safe and effective products, Pure Encapsulations® collaborates with experienced researchers and supports ongoing clinical trials at the Mayo Clinic and Stanford University. Pure, premium raw ingredients are sourced from trusted suppliers in the U.S., France, Japan, Switzerland, Germany and Italy. To qualify as an independent supplier, rigorous testing and quality criteria must be met. All ingredients and final products undergo third-party scientific and microbiological testing at certified independent laboratories to verify purity, potency and safety. Products are manufactured to the highest standards in Sudbury, Massachusetts in a state-of-the-art NSF-GMP registered, temperature, humidity and dust controlled facility. Supplement labels list all ingredients, including composition of raw materials, standardization of herbal extracts and true elemental weight of minerals. Equally important is what the supplements do not contain. All products are free from wheat, gluten, eggs, peanuts, GMO ingredients, and artificial colors, flavors and sweeteners, as well as coatings, unnecessary binders, fillers and preservatives. Available solely though healthcare practitioners, Pure Encapsulations® premium health supportive supplements deliver predictable and desired results in support of the body’s full wellness potential. 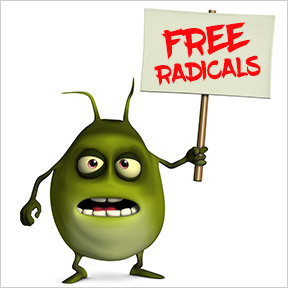 AntiOxidant Formula: This once daily broad-spectrum antioxidant formula is designed to protect against free radical damage, as well as support the body’s natural cellular defense mechanisms. Research shows that a combination of antioxidants can better protect cellular and overall good health. Gluten free, non-GMO formulation. UltraNutrient®: This advanced formula provides high potency bioavailable vitamins, minerals and standardized phytonutrient extracts for broad-spectrum nutritional support for daily wellness. UltraNutrient® is formulated to support cardiovascular, immune, cellular and liver health, as well as homocysteine metabolism. Gluten and soy free, Non-GMO vegetarian formulation. Muscle Cramp/Tension Formula: This formula provides soothing herbs, as well as magnesium, calcium and potassium, important electrolytes for maintaining healthy muscle function. These specific ingredients help to relieve occasional nighttime leg muscle cramps, minor muscle cramps associated with athletic activity, and overall muscle tension, as well as help moderate occasional stress and promote overall relaxation. Gluten and soy free, Non-GMO vegetarian formulation. Junior Nutrients: This nutrient rich, hypoallergenic, highly bioavailable multivitamin, mineral, antioxidant and trace element supplement is designed to provide the nutrients necessary for growth, development and overall health. Suitable for teens and children over 4 years old. Gluten free, Non-GMO formulation. Is the adoption of a plant-based diet the solution to the alarming rates of obesity, diabetes and cardiovascular disease, not only in the U.S., but worldwide? As more health professionals look for cost-effective, low-risk interventions to improve health outcomes, the recommendation to embrace healthier eating through a plant-based diet appears to be gaining acceptance. A general willingness by the public to adhere to dietary changes as a first line of defense for prevention and treatment of chronic illnesses is also increasing. This is good news, as a strong body of evidence favors plant-based diets to turn the rising tide of certain chronic diseases. A plant-based diet regime encourages consumption of whole, plant-based food, including green leafy, cruciferous, and sea vegetables, fruits, legumes, beans, whole grains, nuts and seeds, and discourages or limits animal products, as well as all refined and processed foods. While many live to eat, our dietary goal should be to improve health by eating for a healthier life. 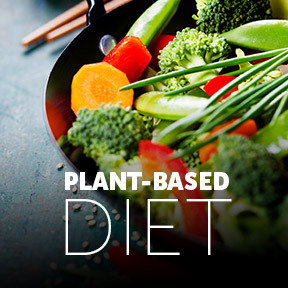 Plant-based diets offer an advantage in the prevention and management of diabetes, lower the risk of ischemic heart disease, and are highly effective for weight loss and obesity prevention. Data presented at the 2018 meeting of the American Society of Nutrition linked a balanced, high quality plant-based diet to a wealth of health benefits. Research shows that plant-based diets, rich in fiber, vitamins, minerals, antioxidants and phytonutrients can reduce the risk factors for developing heart disease, metabolic syndrome, obesity, hypertension, diabetes, inflammatory conditions, and some cancers. While many think of plant-based diets as strictly vegan or vegetarian, there is actually a range of healthy, largely plant-based traditional diets that rely on widely available plant foods and include moderate amounts of quality animal foods. The healthy Mediterranean diet, for example, allows foods such as meat, fish, eggs, and dairy in limited amounts, and favors salads, vegetables, fruits, whole grains and healthy fats. There are some concerns regarding nutrient deficiencies associated with those who follow a strict vegan diet, which excludes all animal products. Vegans need to pay attention to the quality of their diet to ensure they are getting sufficient protein, calcium, and essential fatty acids, as well as vitamins D and B12. Keep in mind that a quality plant-based diet should be full of fresh, minimally processed, nutrient-rich foods. Simply reducing consumption of animal foods doesn’t necessarily lead to a healthier diet, or greater health protection, when a diet is based on less healthy plant-derived foods, such as refined grains, pasta, French fries and chips. To transition to a healthier, more plant-based diet, make small manageable changes like adding more vegetables and salads to your daily meals. Eat mostly plants as best you can and avoid processed and refined foods. The good news: you can eat whenever you’re hungry and until you are satiated. If you are looking to lose weight, pay attention to portion size and make healthy choices. Research has shown that a diet centered around whole plant foods may help prevent, treat or reverse some of the leading causes of death, including heart disease, diabetes and high blood pressure. Plant-based diet intervention groups have reported improved digestion, increased energy, and better sleep, as well as improvements in daily functioning and overall wellbeing. Numerous published studies have shown that nutrient dense, plant-based diets may be better for weight management and are associated with a lower BMI and a lower prevalence of obesity in adults and children. Plant-based diets are low in energy density and high in complex carbohydrates, fiber and water, which help to keep the body hydrated and promote healthy skin. Diets high in fiber support digestive function and a harmonious microbiome. Eating whole foods sustains energy naturally and provides nutrients for optimal bodily function. Antioxidant-rich diets appear to provide protection against stroke by helping to decrease arterial stiffness, lower blood pressure and reduce systemic inflammation. Ultra Protein Green by Douglas Laboratories®: This nutritional powdered formula provides plant-based protein from pea, chia, brown rice, flaxseed and chlorella. Along with naturally occurring essential and non-essential amino acids, antioxidants, essential minerals and B vitamins, Ultra Protein includes a proprietary phytonutrient blend, soluble fiber, probiotics and enzymes. Gluten, wheat, soy, dairy and artificial ingredient free, Non-GMO vegan formulation. Omnizyme by Empirical Labs: This well balanced plant-based digestive enzyme formula includes enzymatic potentiators from papaya, guava, fennel and pineapple, as well as intestinal soothers sourced from zucchini, willow bark and milk thistle. Ultra Anti-Oxidant by Douglas Laboratories®: This potent formula provides a wide spectrum of nutritional antioxidants that effectively participate in the body’s free radical defense system. Formulated with antioxidant vitamins, minerals, glutathione and NAC. Gluten, wheat, soy, dairy, yeast, sugar and artificial ingredient free. Stellar C™ by Designs for Health®: This completely natural plant-based formula provides vitamin C from ascorbic acid and acerola fruit, along with plant and mixed-citrus bioflavonoids known for their immune-protective properties. Gluten, wheat, soy, egg, dairy and artificial ingredient free, vegetarian formulation. AntiOxidant Formula by Pure Encapsulations®: This hypoallergenic formula offers a broad spectrum of antioxidants to help defend against cellular free radical and oxidative damage. Formulated with essential vitamins and minerals, mixed carotenoids and milk thistle. Gluten and soy free, Non-GMO formulation.